The Board of Trustees meets usually the fourth Wednesday of each month at the school. The community is always welcome. Click here for [Coming Soon] our 2018-19 Board Meeting Calendar for the dates of upcoming board meetings. Announcements concerning the next board meeting appear under the News section of our website and on our Facebook page. See below for downloadable agendas and minutes of our meetings. Ms. Jeffries was appointed an Assistant District Attorney in the Queens County District Attorney’s Office in 1990. During her tenure she has been assigned to Criminal Court, the Economic Crimes Bureau, the Appeals Bureau, the Special Victims Bureau, Narcotics Trials and the Special Prosecutions Division. In May 2000, Ms. Jeffries was promoted to Senior Assistant District Attorney, and thereafter to Supervisor in the Special Prosecutions Division a few years later. In those capacities she was part of the circle of leadership that represented District Attorney Richard A. Brown at law enforcement, government and community forums. Besides that, she conducted special investigations at the request of the District Attorney, whom she briefed in writing and orally. Ms. Jeffries has played a key role in the investigation and prosecution of crimes which have an erosive impact on communities and required special attention including but not limited to street narcotics, prostitution, graffiti, drag racing, pattern burglaries, bias crimes - all crimes that adversely affect the quality of life of the residents of Queens. Frederica Jeffries obtained her Juris Doctorate from Hofstra University School of Law and shortly after began her career as an Assistant District Attorney in Queens County. Her academic history includes an M.Ed. in Counseling Psychology from Columbia University, Teachers College and a Bachelors Degree from Hofstra University where she majored in Psychology and Africana Studies. 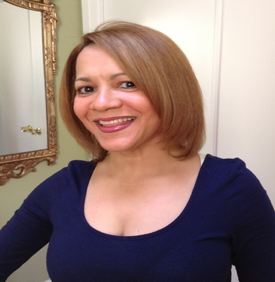 Prior to practicing law, Ms. Jeffries worked for the United States Courts as a Federal Probation and Parole Officer in the Southern District of New York. Ms Jeffries was born in Central America, Panama, and is bi-lingual. She has recently retired from the Office of the District Attorney after 24 years of service. Ms. Jeffries is an active member of many Boards and Committees among them, the Greater Jamaica Development Corporation, Challenge Preparatory Charter School in Far Rockaway, The New York County Lawyers Association’s committee on Law Related Education, Delta Sigma Theta National Sorority. She attends Springfield Gardens United Methodist Church. Mr. Barnes, Manager of Community and Customer Management for National Grid, manages a portfolio of commercial and industrial customer accounts and assists natural gas users with energy efficiency projects to help save energy and money. He is also the lead project manager for National Grid’s Hurricane Sandy Emergency Economic and Community Redevelopment Program to provide emergency grants to commercial, industrial and multi-family housing customers, throughout New York City and Long Island, to help offset the costs of reconstructing buildings and restoring business activity. He is also responsible for building and maintaining strong relationships in Queens that help provide superior customer service. Barnes represents National Grid as a member on various organizational boards including the Queens Chamber of Commerce, Greater Jamaica Development Corporation, and the Alley Pond Environmental Center. Mr. Waxman, the Chair of the Academic Accountability Committee of the Board, is currently a Network Leader at the Center for Educational Innovation-Public Education Association (CEI-PEA), where he supports NYC public schools through CEI-PEA’s Partnership Support Organization. Prior to assuming this role, he was Coordinator of Operations and Outreach for the UFT Elementary Charter School. He was also Local Instruction Superintendent for Region 5, Director of Middle School Initiatives for CSD 14 and Program Coordinator for the Low Performing Schools Initiative of the DOE’s Office of Comprehensive Planning. Dr. Jeremiah C. Gaffney, III was born in the Bronx and spent most of his childhood in St. Albans Queens. He is the CEO and executive funeral director of Jeremiah C. Gaffney’s Funeral Home, Inc. and Jeremiah C. Gaffney’s Enterprises both located in Inwood, New York. Dr. Gaffney is the controller for Gaffney Medical Associates in Charlotte, North Caroline and the Business Coordinator for Mariah Hemmingway Foundation which provides health benefits to the underprivileged. Gaffney holds a doctorate in Economics from Oxford University. Karon McFarlane serves as the National Director of Community Engagement for World Vision in Bronx, NY. She has spent many years as a community advocate in various roles while championing youth, literacy, and leadership. In both Mount Vernon, NY and NYC, she helped to establish literacy networks and early childhood reading projects. As a trainer, she has developed methods, programs and conducted workshops to aid community organization and leadership. McFarlane holds a Masters in Education from Columbia University and a Masters in Public Administration from Syracuse University. As a clinical mental health and High School Counselor, Mrs. Hernandez-Cohen makes Academic improvement, Mental Health and Recovery her highest priorities. Cultural sensitivity is a very important part of her practice, and she has more than 17 years of experience working with a very diverse population in the NYC Public School System, as a Guidance counselor, College Academic Advisor, and 504 Accommodation and SAT Coordinator. She describes her practice and her NYC Public Education work as “uniquely compassionate and caring, with maximum commitment and availability to students and clients and their well-being.” Hernandez-Cohen uses Cognitive Behavioral, Motivational Interview, Solution Focused, Family System, and Intervention Therapy to guide students and their families towards efficient academic achievement. * The CPCS Bylaws provides for one member of the Board to be a parent/guardian representative. This position on the Board is elected annually. The Parent Trustee has the full rights and privileges as a Board member.